A protégé of GCP Hospality’s group corporate Executive Chef, Sylvain Royer, Executive Chef Dang has gained a reputation amongst his peers for his flair for menu development and creating new recipes, as well as his talent for creating quality Thai and international dishes. 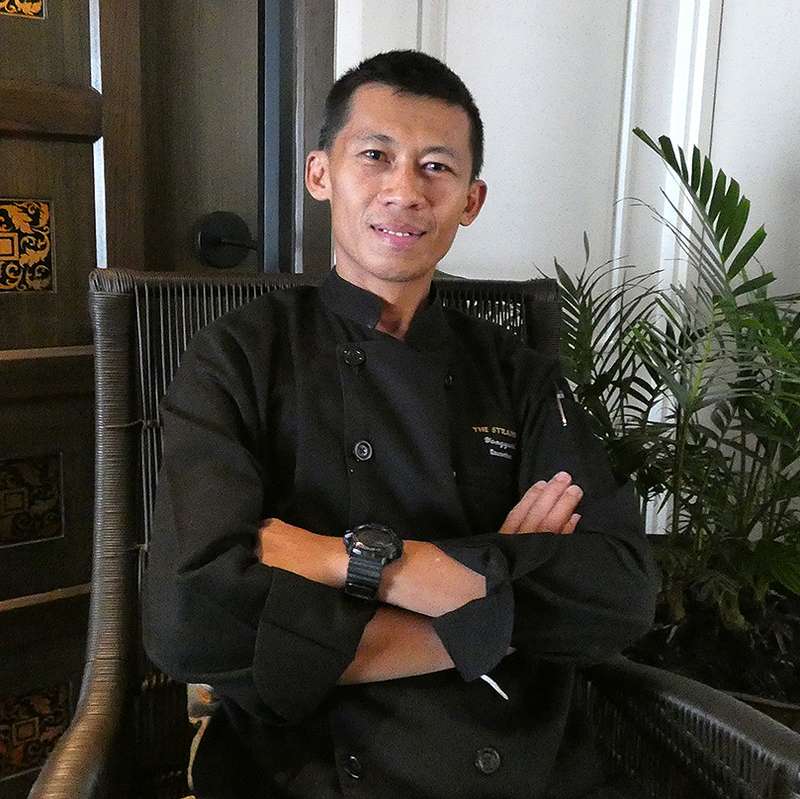 A Thai national, Executive Chef Dang has worked in the kitchens of the Landmark Hotel in Bangkok, as well as the Pullman Pattaya Hotel G, where he was also responsible for the training and development of his team, and the delivery of consistent standards of quality and service. On our Sundeck you will discover our advanced temperature-controlled wine cellar. We have gathered an impressive wine list curated for every occasion that the crew would be delighted to guide you through. All that is left to do is relax and enjoy the vista of the river. Our Chefs regularly visit remote farming communities, farms and fisheries in Myanmar to personally meet suppliers and source the best of the country’s organic fruit, vegetables, fish, herbs and spices, such as tiger prawns, deep-hued turmeric, chilli powder and pork.